"I believe that the space is as important as the connection between a patient and the therapist. It provides a forum for connection, safety and healing. I created this space to symbolize the importance of comfort, connection and trust." We built our therapy office to be a private, comfortable sanctuary for my patients. 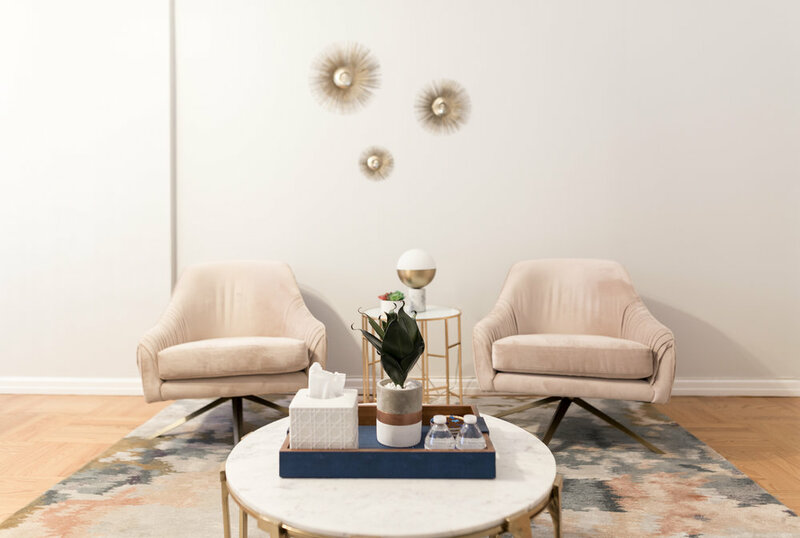 Designed to give each patient a feeling of coming home, our office is private with its own waiting area located on the ground floor of a co-op building on Madison Avenue.